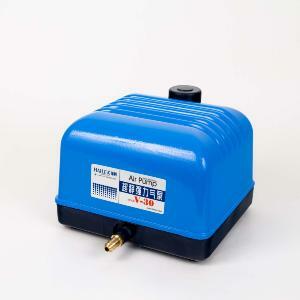 The V30 Hailea Air Pump is a super silent power air pump, through utilising a high quality aluminium alloy to construct its casing. The V series adopts a double damping method and noise-absorbing system. They are very efficient, energy saving, low in noise and safe. The V series utilises its double air chamber structure to produce large quantity of air and strong air pressure, enabling it to work steadily and continuously.